KCS Plastics was formed in 1991 by Kelly Kyle, Cec Clarke and Stu Worthington (“KCS”). Starting with an extruder and 2 Lung Meng bottom seal bag machines. The following year, a Gloucester bag machine and winder was purchased to enable the organization to produce garbage bags on rolls. After their initial year in business, the owners decided that it would be important to produce more than just garbage bags, so KCS expanded their product line to produce light gauge high density plastics for meat, poultry and fruit packaging plants. In 1997 the KCS expanded into Co-extrusion, a high volume manufacturing process in which raw plastic material is melted and formed into a continuous profile. This required them to move into a new custom building on a site with rail siding to enable them to ship in rail cars full of the polyethylene resin used in the process. 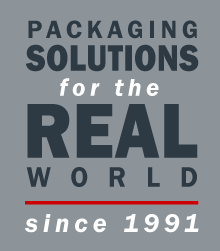 In early 2001, KCS Plastics expanded again to add a second Co-Extrusion line to their manufacturing plant. In 2009 KCS began an annual 3rd party audit program concerning all aspects of Food Safety contracting the American Institute of Baking (AIB). KCS has consistently achieved a Superior rating on these audits. Our annual extrusion capacity is approximately 9 million pounds of polyethylene products every year and we employ over 25 people in our Langley, BC plant.